From the standpoint of a job seeker, if used correctly, Twitter can turn your job search from feeling like the dreaded fail whale to landing you the job of your dreams. With the right tools Twitter can become a never-ending source of information to assist you along your way. 1. ConnectTweet – See what is going on inside the doors of a potential company, through the Tweets of their employees. ConnectTweet allows individuals at the front lines of the company to add a #tag to their company relevant tweets, those tagged tweets are then filtered and posted to the companies @org’s Twitter account, allowing the company’s followers to clearly see the human voices on the inside. 2. TwitterJobCast – A local job search that allows you to see who is hiring on Twitter by browsing for jobs by city, state or zip code. It works by making requests to the Twitter API. Additionally, the Yahoo! Maps API is used to translate locations into geocodes for use with the Twitter API. 3. TwitterJobSearch – An open source search engine for jobs posted on Twitter, TwitterJobSearch has posted 44,165 new jobs in the last 7 days. Many of the jobs listed are tech related jobs, but through their search you can look for the position you want in the city you want. 4. 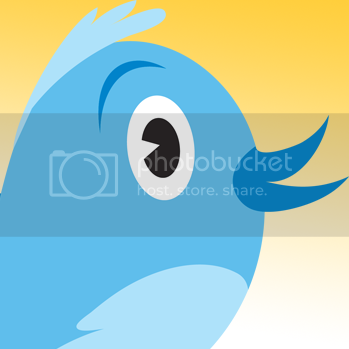 Twellow – Also know as the Yellow Pages for Twitter it allows you to cut through the clutter Twitter sometimes creates. It enables you to find real people who really matter. The Twellow service grabs publically available messages from Twitter, analyzes and then categorizes the tweets into categories. By using this service you can narrow your searching to specific niches and find who you are looking for, that way you can follow specific Tweeters and network your heart away. 5. TweetBeep – “TweetBeep is like Google Alerts for Twitter” TweetBeep is very simple, you signup for an account, confirm your email and set up alerts to be delivered to your email. Want to know whenever someone posts a job for a Java Dev? Set up and alert for that and you will be notified through email on a daily or hourly basis.